Disclosure: This post is in partnership with Welch’s 100% Grape Juice to promote American Heart Month. As always, all opinions expressed are my own! Thanks for supporting the brands that keep the Shaw Kitchen up and running! I’m about to get real with you today my friends. Did you know according to the Produce for Better Health Foundation, only 3% of Americans’ produce intake is from the purple and blue category? Yikes! What a tragedy when purple cabbage, eggplant and berries, like Concord grapes in 100% grape juice, are readily available and a great way to add the power of purple to your diet to help support your heart health! 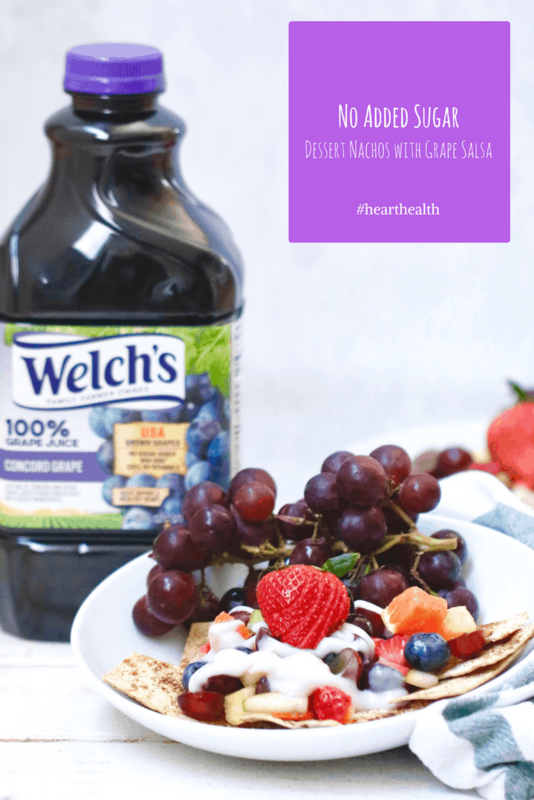 To get you in the spirit to add more #purplepower to your diet, I’ve teamed up with Welch’s to create these delicious No Added Sugar Dessert Nachos with Welch’s 100% Grape Juice Salsa! It’s a heart healthy, no added sugar way to celebrate American Heart Month and sure to satisfy adults and kids alike! 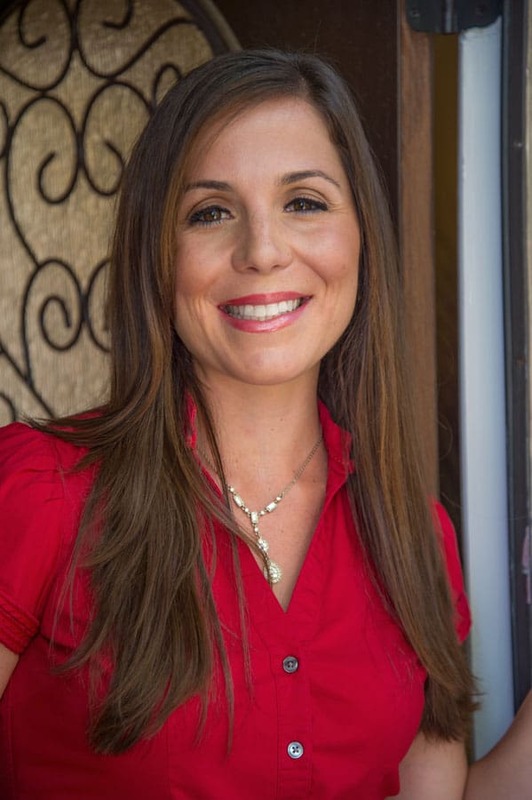 Yep, the power is in your hands my friends, and with the help of a few simple swaps, I’ll show you just how to improve your own heart health from the comfort of your own kitchen! Now, let’s chat about those No Added Sugar Dessert Nachos. When I think about food that makes me happy, I somehow always return to nachos. Maybe it’s because Mr. CEO and I have shared some of the best laughs and conversations over them or the fact they are the easiest thing to make, I’m not quite sure. Nevertheless, I realized while I have these delicious high protein Baked Savory Nachos here, I’ve yet to share with you an easy peasy Dessert Nacho. That had to change, stat. 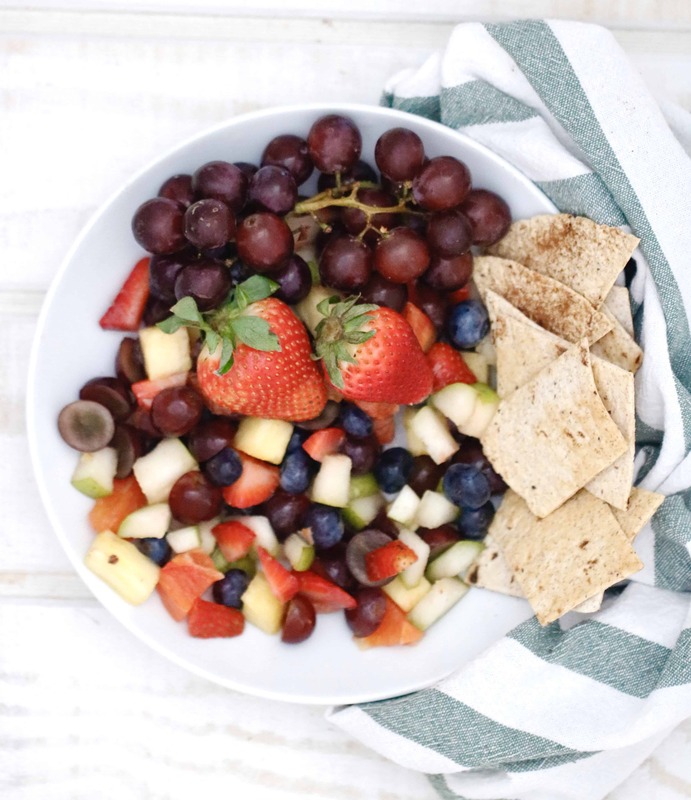 So, into my kitchen I went with my favorite whole grain tortillas, a basket full of fruit and a container of Welch’s 100% Grape Juice and the rest was history that has been transcribed below so you can enjoy it too! 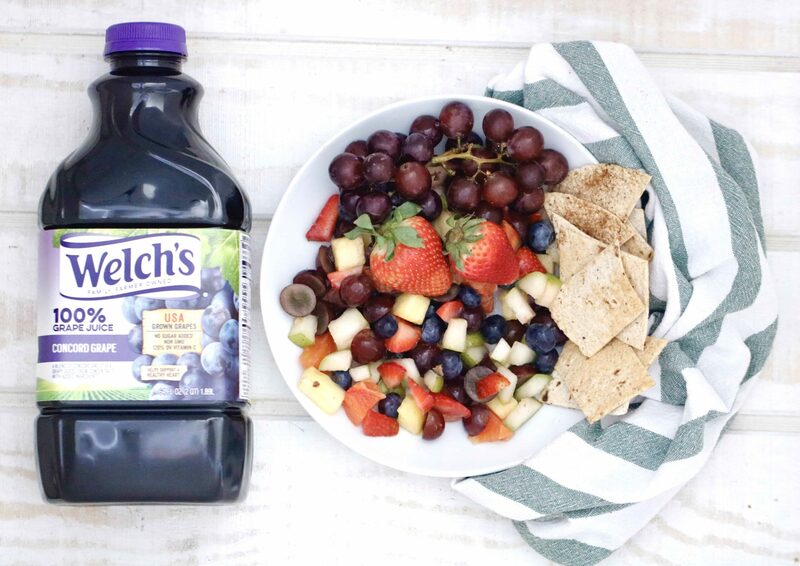 While you may know that Welch’s 100% Grape Juice is made with the purple Concord grape, I bet you didn’t know that this special grape is an original American superfruit that helps support a healthy heart, did you? Or, how about the fact that Concord grapes are among the first fruits cultivated in the US, grown in Concord, MA way back in 1849? Alright, maybe some of my history buffs knew those two, but what about the facts that Concord grapes (and its juice) have many of the same polyphenols (health-promoting plant nutrients) and heart-health benefits as red wine? Now I guarantee I’m speaking at least more of your language! 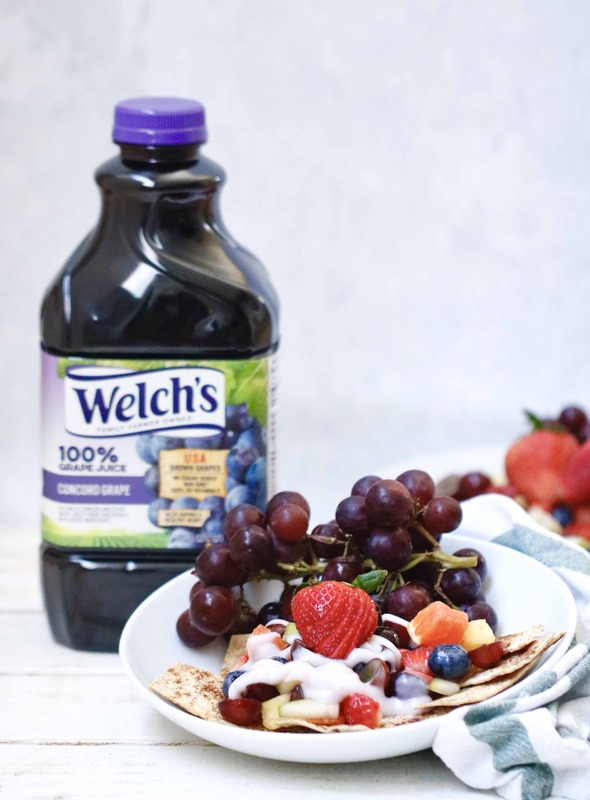 Given the twenty plus years of research that shows Welch’s 100% Grape Juice helps supports a healthy heart, with no added sugar, colors, flavors or preservatives, I knew that there was no question, I had to incorporate this superfruit into the No Added Sugar Dessert Nachos with Welch’s Grape Juice Salsa for you. Plus, another thing people often overlook is the relationship between added sugar and heart health. 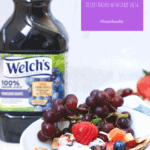 Since the majority of Americans already consume way too much added sugar, it was easy to settle on using Welch’s 100% Grape Juice to naturally sweeten the salsa and yogurt “frosting” in this recipe. You see, 100% grape juice adds taste, nutrition and the purple power to provide the sweetness we crave without added sugar. Plus, not only do those polyphenols give Concord grapes and 100% grape juice their heart-health benefits, these natural plant nutrients also are responsible for their signature purple color. Hello natural food coloring! 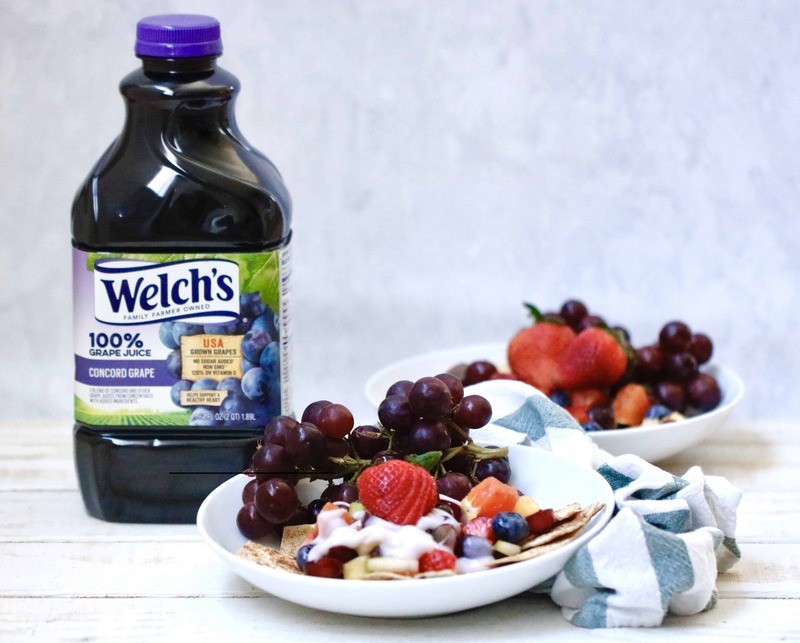 Whether you choose to enjoy this recipe or Welch’s 100% Grape Juice all on its own, you can certainly celebrate American Heart Month with the taste and heart-health benefits of Welch’s 100% Grape Juice! Now, who’s ready for some No Added Sugar Dessert Nachos with Welch’s Grape Juice Salsa?! 100% whole grain toast triangles, brushed lightly with oil and served under a Greek yogurt Welch’s 100% Grape Juice glaze. All topped with a Welch’s infused grape salsa. Preheat oven to 375 degrees F. Cut 8-inch whole grain tortillas in thirds horizontally, then in fourths vertically, forming 12 chips per tortilla. Lightly brush tortilla chips with vegetable oil on each side, then sprinkle ground cinnamon over the top and place on baking sheets lined with cooking spray. Bake for 4 to 5 minutes per side, flipping once. Remove from oven and let cool 5 minutes when done. While chips are baking, assemble salsa. Add oranges, grapes, pineapple, strawberries and blueberries in a medium bowl. Stir in ¼ cup Welch’s 100% Grape Juice. Set in the refrigerator. In a small bowl, mix ½ cup yogurt with remaining 1 tablespoon Welch’s 100% Grape Juice. Assemble nachos by placing 6 chips on a small plate and topping each with 1/4th portion of Grape Juice Salsa. Drizzle 1 ounce of yogurt over the top of each. For more information about Welch’s health benefits, click here and for other heart-healthy recipes check out this purple power e-book! Are you a dessert nacho fan? What a super fun dessert idea! I’m loving that you used grape juice as a natural sweetener! Thanks Laura! So naturally delicious! I would never think you could make nachos with this! I love it! Let the creativity begin, right! Love Welch’s Grape Juice! These dessert nachos & salsa are such a creative idea! This would be a big hit here for snack time or for dessert! I bet!! Let me know if you try it! Oh now we are talking! I’ll keep my heart healthy any day with this goodness! I bet your little stud muffin would dig this too!